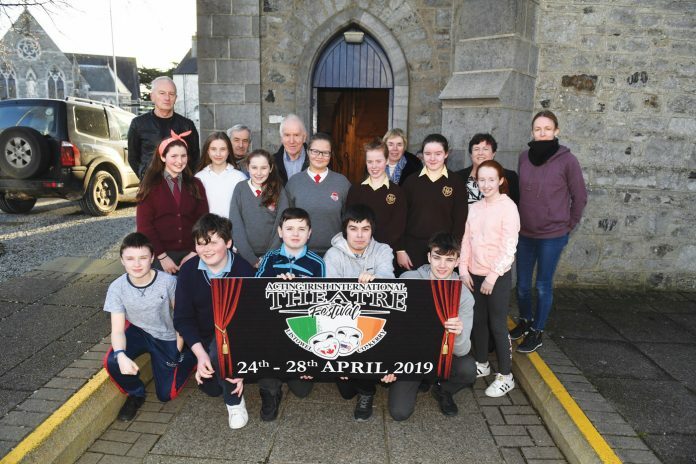 Listowel will welcome community theatre groups from cities across the USA and Canada this April when it hosts the Acting Irish International Theatre Festival from April 24th to 27th. Theatre groups from New York, Chicago, Cincinnati, Milwaukee and Calgary will perform plays by Irish playwrights at St. John’s Theatre & Arts Centre over the four days of the festival. The Acting Irish International Theatre Festival is an annual festival of full-length Irish plays performed by Irish community theatre companies from Canada, USA and Ireland. The festival was started in 1994 and is hosted by a different member group each year. The Festival kicks off on Wednesday April 24th most appropriately with a performance of John B. Keane’s ‘Moll’ by the Gaelic Park Players of Chicago, a hilarious comedy about life in an Irish country presbytery. Other plays to feature during the Festival include ‘Port Authority’ by Conor McPherson, ‘Spinning’ by Deirdre Kinahan and ‘Long Day’s Journey into Night’ by Eugene O’Neill. All plays will be adjudicated and festival awards will be presented at a special ceremony at Kerry Writers’ Museum on Sunday April 28th. The hosting of the Acting Irish International Theatre Festival 2019 is a collaborative initiative between St. John’s Theatre and Kerry Writers’ Museum, with the support of Listowel Chamber Alliance and drama groups in the town. 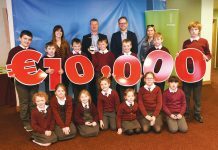 The organising Committee acknowledged the financial support received from Kerry County Council, Fáilte Ireland and NEWKD Rural Development Programme. Jimmy Deenihan, chairperson of the organising committee stated that “without the support of these agencies as well as generous sponsorship from businesses in Listowel we would not be in a position to host this prestigious event. 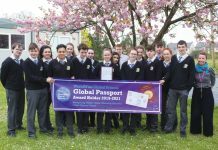 The staging of the Festival provides a great opportunity to showcase all that Listowel and North Kerry has to offer to an international audience”. Tickets for all performances are available at www.eventbrite.ie or can be booked directly from St. John’s Theatre, Listowel, tel. (068) 22566.